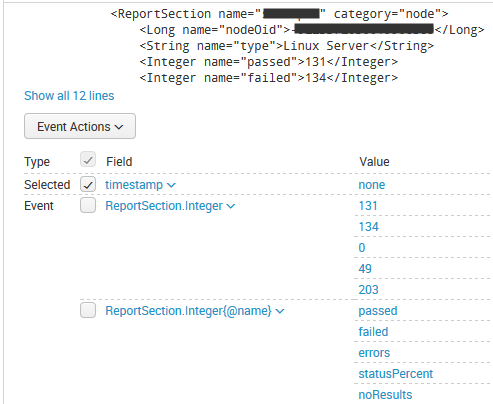 Use index-time extractions instead. You can use more than one extraction if necessary. Originally, I was going to use a second extraction which would match the Timestamp tag and get the value of the displayvalue attribute. However, I decided instead to just grab the value for the whole Timestamp tag, which is the Unix timestamp. 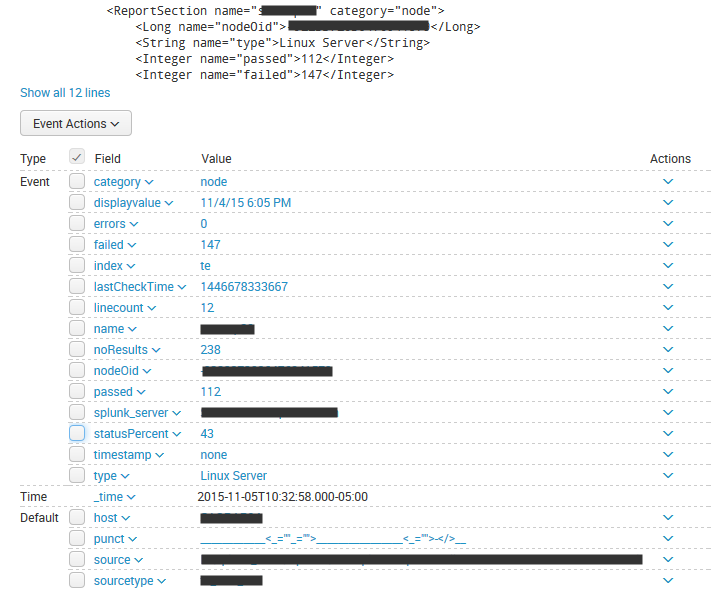 Splunk's convert command makes it easy to work with Unix timestamps.